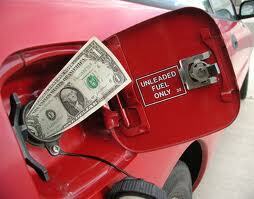 The gas tax is a federal tax currently at 18.4 cents a gallon -- and you thought gasoline was expensive enough as it is! What might you wonder is this for? It is for the construction and maintenance of our nation's highways. So people aren't purchasing as much gas. Due to these factors, the federal government's gas revenues have diminished. What's been kicked around is a driving tax, or a "miles driven" tax. This could either replace the current gas tax or supplement it if the government thinks they need it. You would pay for every mile you drive, perhaps around 2 or 3 cents. Bu how would they measure that? Collection of the tax would be through an odometer reading at the gas station. This would also require a mandate that automakers bundle some kind of wireless technology in the car so a gas pump could read your odometer. Alternatively, it could be assessed through the on-board GPS in the car that records miles driven. Either way, there are privacy issues involved and both seem a bit like big brother getting extremely nosy. This would NOT be a good time to implement an extra tax as consumers are strapped enough as it is. In a way, it's fair because you would pay for your actual use though. That means anyone driving long distances will be affected; if you use the roads a lot, you'll be taxed a lot, even if they aren't federal highways. However, if we continue to pay by the gallon and your vehicle gets lousy mileage, you'll be taxed on inefficiency (which is why some argue for a combination of both taxes). How do you think this new mileage tax would affect your expenses?